Editor’s note: The following is a longer version of a review by Raymond Ibrahim that first appeared in the Middle East Quarterly. While these are all fair considerations, left unstated is that they are also byproducts of a chief factor: The dhimmi status Islam imposed on Christians and Jews—which supposedly “once worked well as a means of managing religious diversity” —had economic, social, and sexual disparities that naturally led to “resentments” between Muslims and non-Muslims. 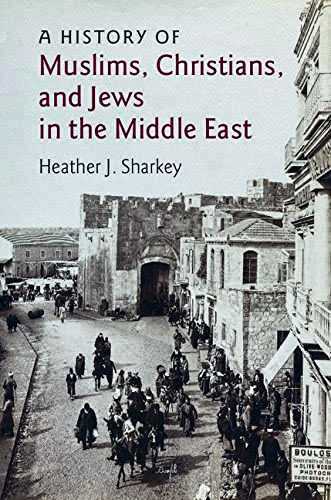 Accordingly, rather than take history at face value, Sharkey often turns to “memoirs, cookbooks, novels, anthologies, ethnographies, films, musical recordings,” for “insights.”  The book’s concluding chapter, where the author gives her final analysis, has a section titled “The Smell of the Past”—which literally looks to a variety of pungent aromas for answers: “The history of something as apparently banal as a cooking fat—in its economic, social, and olfactory dimensions—may carry a multiplicity of eye-opening meanings.”  And that her closing sentence consists of a series of “image if’s”—or as Sharkey calls them, “counter factual scenario-making” about how the Ottoman Empire might have been—is more reminiscent of a John Lennon song than a work of history.